The Conrad at 6 Hamilton Place is a brand new 27-unit development in Boston's evolving Downtown Crossing by 3MJRealty. It is located in the former Beaux-Arts building that housed Conrad and Chandler’s, a distinctive 19th century department store. 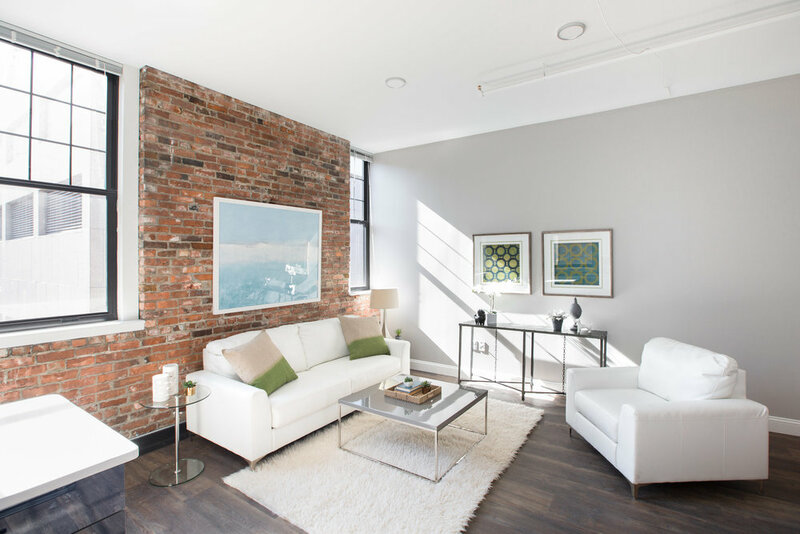 The original stone facade has been left intact, while 2, 3, and 4 bedroom apartments celebrate historic architecture with modern comforts: concierge, quartz counters, Nest thermostats, 11 ft loft-style ceilings, and original exposed brick. Residents will have access to The Conrad on quiet Hamilton Place, abutting the historic Orpheum Theater. There is also an entrance on Winter Street, giving residents quick access to the vibrant urban landscape of Downtown Crossing with all the premier shopping and dining experiences right at their backdoor.